This single level home is built upon a 9688 square-foot lot, and is located on Laranjal beach along the banks of the Lagoa dos Patos, roughly 9.321 miles Pelotas, Rio Grande do Sul. 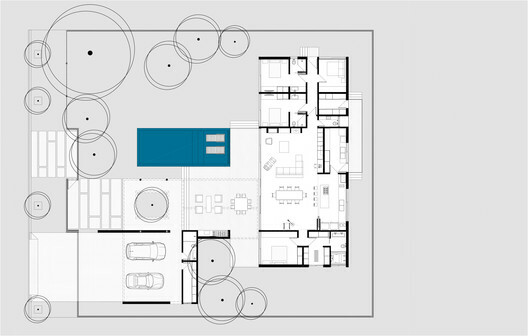 But what makes this building special is its solar orientation, meaning that the house’s main body unfolds on the rear of the lot, towards the garden on the property. Much of the home’s volume is supported on concrete columns that are elevated in relation to the garden level. 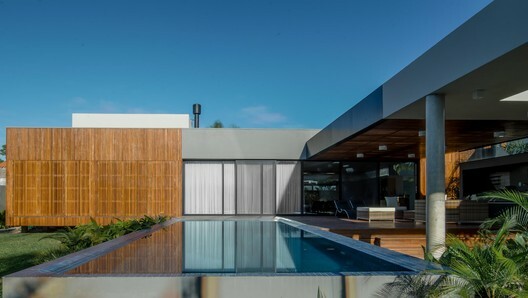 The home contains a large glass area in the living room, while the bedroom areas can be shielded by wooden panels for the purpose of ventilation, opacity and privacy. Layers of masonry mark access to the longitudinal axis of the home, which also allows shelter to the service areas and garages along the front of the property.The main goal of this project is expanding the living room area outdoors, rather than limiting the space to indoors-only. This is helped by the home’s balcony giving off an image of an indoor-outdoor continuation as it’s located along the same level as the main building’s volume. 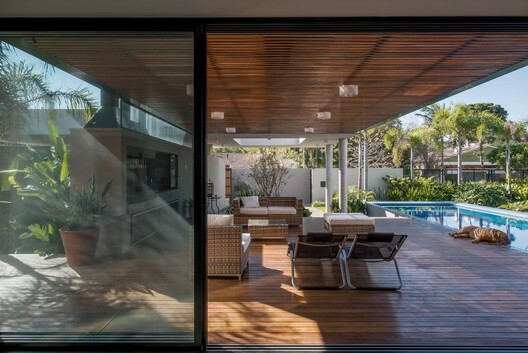 While a steel, glass and wood structure provide shelter and shade during the hot summers, the wooden deck connects the living areas and the pool. Previous Previous post: Los Gringos Locos, the BEST Heel Faction in Mexican Wrestling History!